Brothers Chan and Dashal were both working full time when they decided to set up BeFries just 3 years ago. Generously, they decided to share their favourite family food with the public, extending their dinner table whilst retaining an intimate and personal feel. After only 11 months, this independent Belgian chip shop at 46 West Street has become a key destination for both tourists and Brighton residents. Though Chan and Dashal now cater to hundreds of visitors each week, the authenticity of BeFries remains in every aspect of the food. 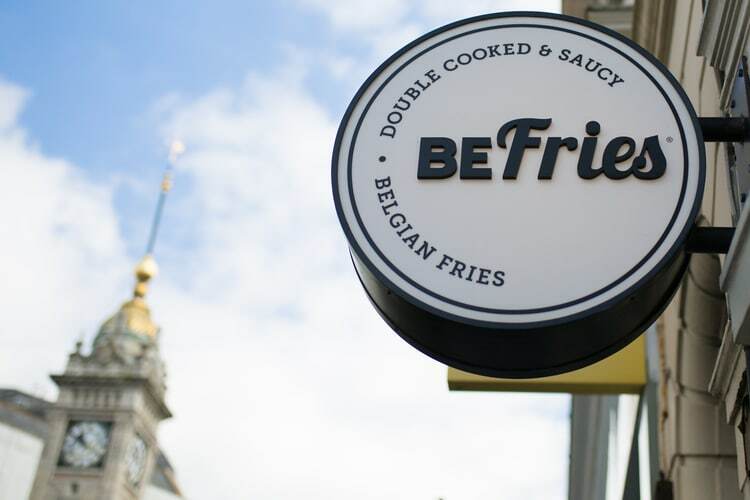 BeFries offers over 20 different sauces, many of which are imported directly from Belgium such as the Belgian mayonnaise, frites sauce and the curry ketchup. 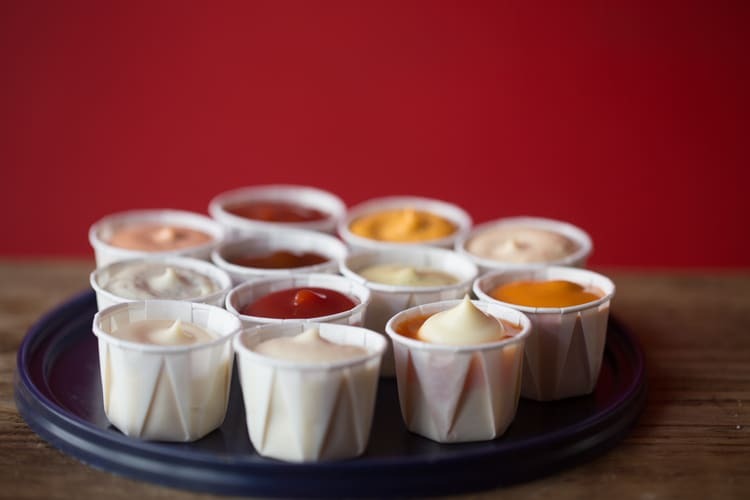 The BeSauces listed on the menu are not bought in but made fresh in the restaurant, using local ingredients to maintain the personal, family feel. Their Jerk sauce, for example, comes from a woman called Jenner in Worthing who makes raw jerk, with a recipe handed down through two generations. Even the potatoes have been carefully selected, using a special variety of potato called Agria which is sourced fresh from British farmers. You won’t see that attention to detail in any other chippy! Despite Chan’s apologizing for the timing of the review, saying the potatoes were at their worst in this season, the double cooked chips were crispy, fluffy and delicious! The cooking process, illustrated on the walls in chalk style graphic, is unique to the Belgian style making this chip shop stand out from many others in Brighton. The sweetness of the Hannibal sauce compliments the salty chips beautifully and the beetroot flavour of the other tastes light and fresh. The peanut satay and curry ketchup sauces were also particularly tasty. 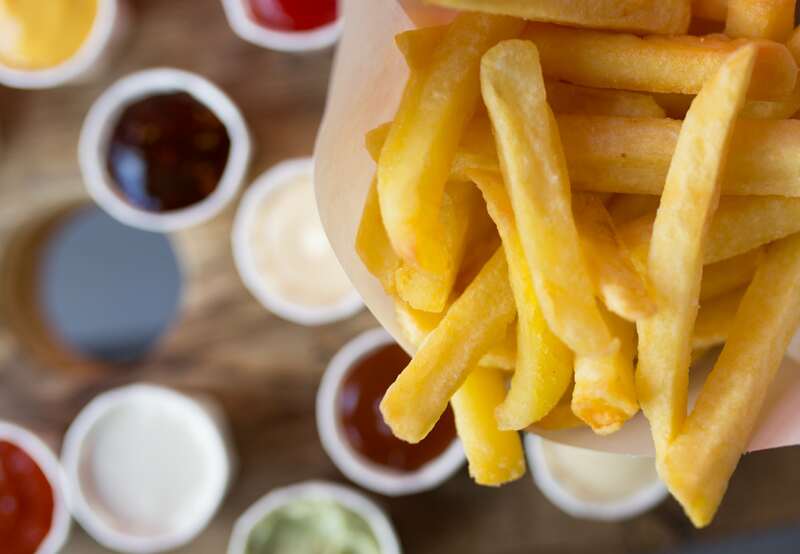 The flavours in all their sauces totally remove any greasy chip shop sensations, making the food taste high quality even when spending only £2.80 for a small chips and sauce of your choice! Add the samurai sauce and you have all the flavours of a Chinese, or try some vegan basil mayonnaise and taste Italian cuisine in a bag of fries. BeFries caters well to all. 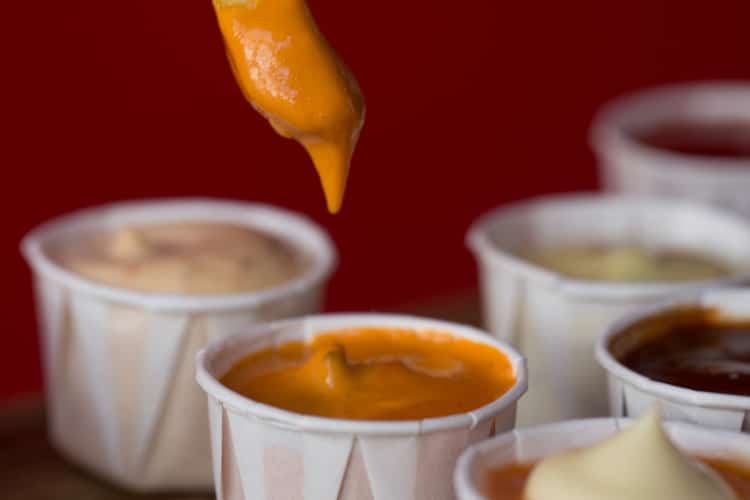 All of their sauces are vegetarian and many are also vegan, suiting the dietary requirements of many Brighton citizens. Not only are the chips gluten free, they also have a range of delicious gluten free sauces such as the ‘Frites sauce’ and the BBQ mayonnaise. After a medium portion of chips with a hundred different flavours, both I and my dining partner were very satisfied. To top it off, we were both given a Belgian chocolate milk drink by way of dessert. The ‘Chocomel’ had all the rich and creamy flavours of real Belgian chocolate, tasting incredible cold on such a sweltering day. I asked Dashal what his plans were for Befries in the future. His initial focus is to open a mobile BeFries to travel to festivals and markets. Having spent my last week at Glastonbury craving salty treats at 3am, this seems a brilliant idea! 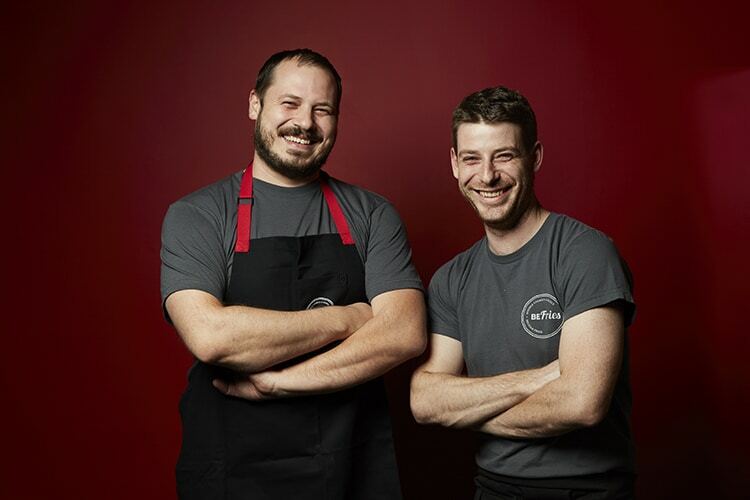 The brothers also intend to launch their sauces as a brand and sell them in supermarkets and shops, allowing people to create their own BeFries style dinners with oven chips. 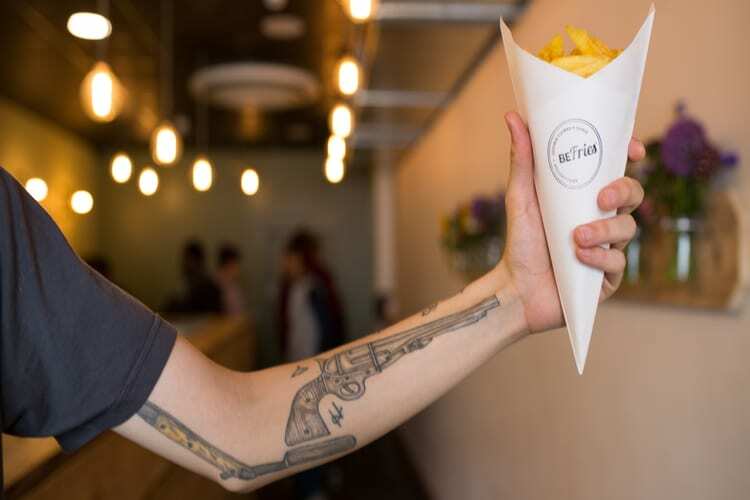 In terms of expansion, neither Chan nor Dashal plan to be the next multinational chain; their long term plan is to open 10 BeFries stores around the world, each one acknowledging the local culture and flavours and creating new sauces accordingly. Though no longer restricted to the family home, the individuality and personality of BeFries is a huge part of its appeal. It’s hard to stick out in Brighton, but this unique venue does just that.